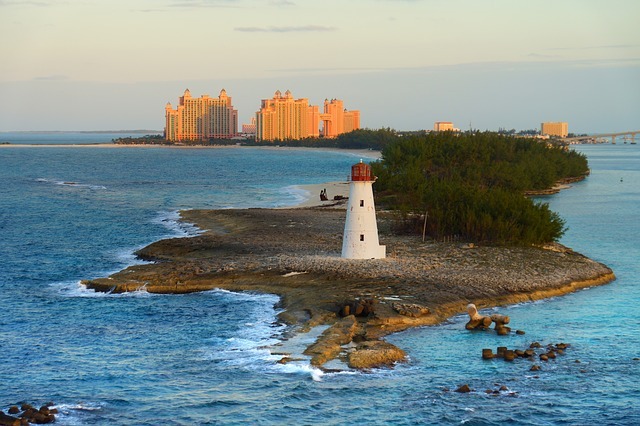 THE COUNTRY OF 700 ISLANDS – Newcomers to The Islands of The Bahamas quickly realize that they have stumbled upon not one, but many destinations. Between the “poles” of Grand Bahama and Great Inagua are 23 inhabited islands and thousands of unpopulated islets and cays (pronounced “keys”). Cosmopolitan Nassau, once ruled by pirates, seems a world away from the desert-like wildlife sanctuary of Inaqua. On many of the islands, tiny villages seem lifted from the Massachusetts coast and set down amongst palms and pines and iridescent sands. These beautiful islands lie only 50 miles off the Florida coast – far closer than any destination in the Caribbean. Just a hop off the coast of Florida lies our country. The Bahamas. Nassau, Paradise Island and Cable Beach, with soft, white beaches, Goombay punch, hundreds of years of democracy and the friendliest people you’ll ever meet. Freeport/Lucaya with hot days and even hotter nights. And then there’s the Family Islands, like the Abacos and Eleuthera, which teem with elegance and are so quiet, you can hear your heart jump for joy. The Bahamas has successfully promoted itself as a destination for US jetsetters, and a lot of it is Americanised. Yet there are still opportunities among its 700 islands and 2500 cays to disappear into a mangrove forest, explore a coral reef and escape the high-rise hotels and package-tour madness. The 18th-century Privateers’ Republic has become a modern banker’s paradise, at least on New Providence and Grand Bahama. On the other islands – once known as the Out Islands but now euphemistically called the Family Islands – the atmosphere is more truly West Indian. The Islands of The Bahamas offer an array of dive experiences like no other destination in the world. There are sunken Spanish galleons, inland blue holes, caves and forest-like coral reefs, teeming with marine life. We offer 25 different dive destinations in our country. 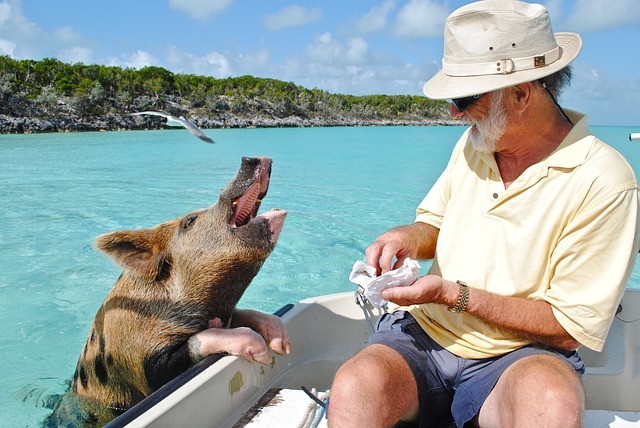 Some of the most exciting experiences allow enthusiasts to swim and feed reef sharks, an an experience offered nowhere in the world except The Bahamas. More importantly, the people of The Bahamas are as committed to the art of hospitality as they are committed to preserving the unique ecology of our island home. All 36 members of our official association hope you will enjoy reading about our country, but more importantly, plan a trip to dive with us soon. Shopping inThe Bahamas is a unique experience. Here, you’ll find distinctive authentically Bahamian items that reflect our heritage, our creativity, our passion. Nassau features stylish boutiques and our famed Straw Market, where local crafts, arts, ceramics, and spices make for nice souvenirs. Grand Bahama has large shopping centers filled with retail shops, straw vendors, hair braiders and artisans. And The Out Islands also have a variety of stores, offering local crafts and jewelry. With so many great pieces, it’s easy to shop your heart out here. The Bahamas is a year-round destination. Constant trade breezes ensure pleasant temperatures, so unless you’re visiting the southern isles, which get infernally hot in summer (June to August), weather isn’t a major factor in determining when to go. Climate-wise, the best time to come is the warm, breezy summer, when the water is so warm you can linger in it for hours. Mid-winter temperatures in the northerly and westerly isles can be surprisingly cool. On the plus side, there are less mosquitos. In summer, the rainy season extends from May to November, when hurricanes are a slim possibility. The so-called ‘peak season’ runs from mid-December to mid-April, when hotel prices are highest and some hotels are booked solid, especially around Christmas and Easter. The Bahamian dollar (BS$) is linked one-to-one with the US dollar, so you can use US currency everywhere. The major commercial banks maintain branches throughout the islands, although in the Out Islands they are thin on the ground. There are ATMs in the leading tourist centers. Most accept Visa, MasterCard and Amex via international networks, such as Cirrus and PLUS. Bring extra cash for small meals, sundries and tips when heading to the far reaches of the Out Islands or hopping between cays where ATMS are few and far between. Major credit cards are widely accepted throughout the islands. Credit cards are not widely accepted for general transactions in the more remote Out Islands. You can use your credit card to get cash advances at most commercial banks.